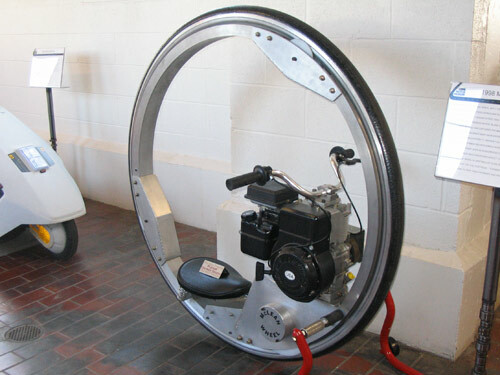 A monowheel is one big wheel with the rider and engine inside the circumference. 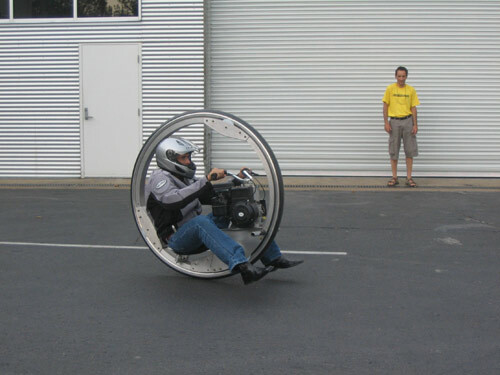 It differs from a unicycle which has the rider above the wheel. The first known patent was issued to Allen Greene and Elisha Dyer of Providence, Rhode Island in 1869. 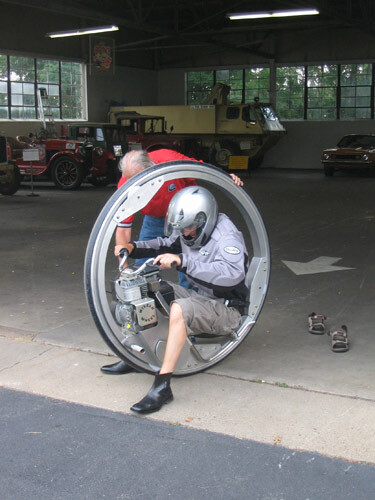 The idea of a single wheeled motorcycle has captured the imagination of designers for nearly 150 years, and while many have experimented with the format, the idea has remained a novelty. 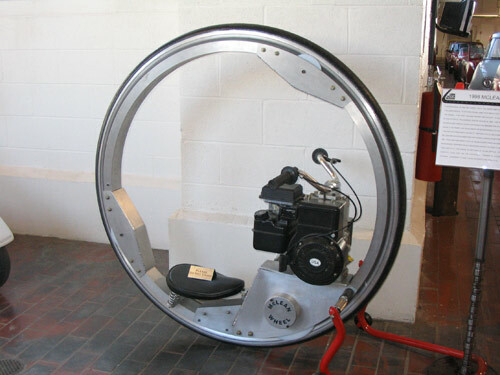 Before you is a Mclean wheel. 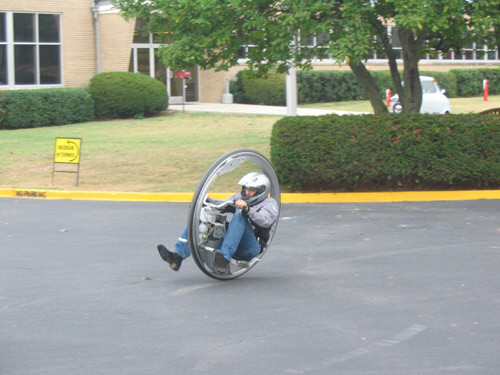 Kerry Mclean began experimenting with single wheeled motorcycles in the mid-1970s and has spent over 30 years perfecting his monowheel. 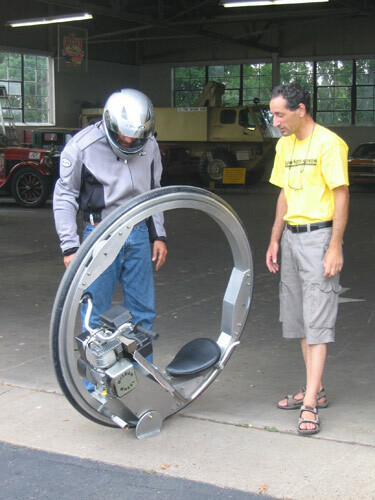 The monowheel depends on a gyroscopic effect to keep it upright. 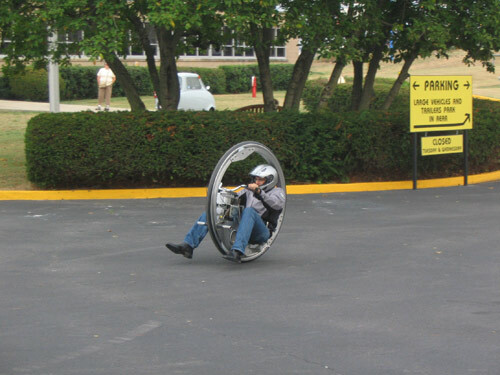 Much like a bicycle, the wheel is unstable at slow speeds. 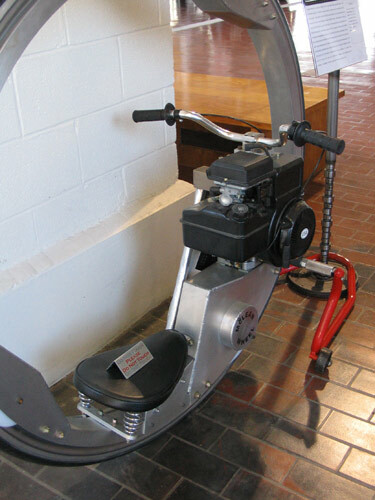 At 15 mph, you can put your feet on the footpegs. 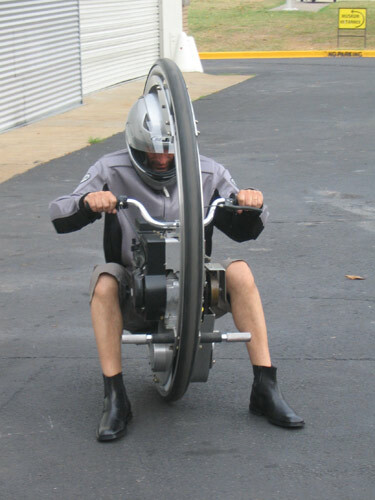 Turning is accomplished by leaning. 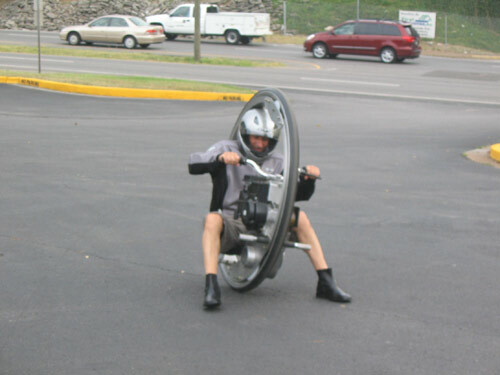 Learning to ride takes patience and practice.